Todd Rodman has developed a broad ranging practice representing many aspects of the real estate industry. Mr. Rodman represents individuals, real estate development companies, pension funds, REIT's, financial institutions, non-profits and others in connection with the acquisition, development, sale, leasing, management, permitting, construction and financing of commercial and residential properties. Mr. Rodman is a graduate of the Massachusetts Institute of Technology (MS in Real Estate Development and Finance), the Washington College of Law and the University of Michigan. Prior to joining Seder & Chandler, LLP, he was a lawyer in the real estate practice group of Hutchins, Wheeler & Dittmar. 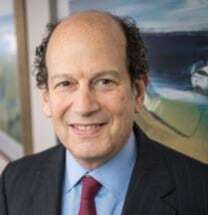 He has also served as General Counsel of the Wonder Market Companies, a regional supermarket and shopping company based in Worcester, Massachusetts. Mr. Rodman was the Chairman of the Mayor of Worcester's Ad Hoc Zoning Committee, and is a current member of the Mayor's Brownfields Committee, the Real Estate Bar Assoication, the Executive Committee and the Board of Directors of the Worcester Regional Research Bureau, the Board of Directors of Community Legal Aid, and is a past director of the YMCA of Central Massachusetts and the Martin Luther King, Jr. Business Empowerment Center, among other community involvements.